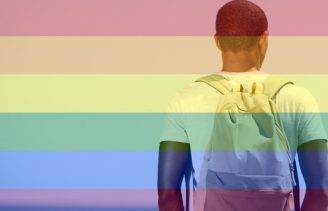 At age 16, I came out to my parents as transgender. I am biologically a girl, but I feel like a guy. My parents had always told me that if I were gay, they would still love me. I figured if they could accept me as gay, then they could at least tolerate me if I were trans. Even after joining me in some of my therapy sessions, my parents are still confused and worried. But they are trying to understand. For example, my mom makes sure that I receive baggy unisex clothes for the holidays. I’m grateful and happy that she’s accepting it in her own way. I recently asked my parents some questions about their point of view. While I don’t love all their answers, I can understand their reluctance to talk about their child being transgender. My parents had always told me that if I were gay, they would still love me. I figured if they could accept me as gay, then they could at least tolerate me if I were trans. Cannon: How did you react when you first learned that I was transgender? Dad: I was shocked. I never expected this. Mom: I mostly felt confused, never saw it coming. Cannon: Do you wish that you reacted differently now? How so? Dad: Yes, I should have been more shocked. It’s not normal, and I was too casual with it. Mom: No, I’ve tried to accept this in the best way I know how. I’m still not 100-percent accepting, but I’ll try to be supportive in the best way I can. I still let you continue counseling. I know I could have been a jerk about it and stopped the counseling altogether, but I think that would have been bad judgment. Cannon: How did you feel when the therapist confirmed that I am transgender? Dad: I felt mostly disbelief. I believed that you were confused or doing it for attention. I’m still unsure on it. Mom: I felt confused and disbelief. I still don’t know how to handle it all that well. I’m not ready to go to support groups yet. 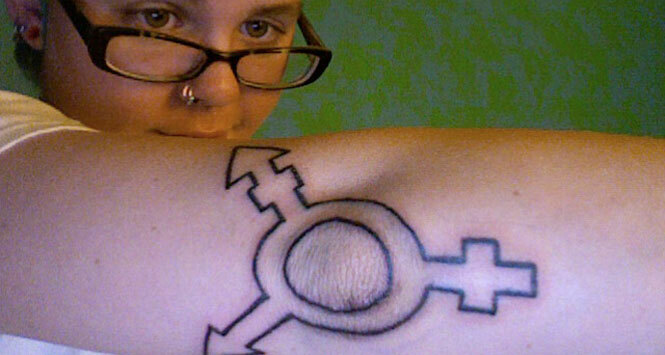 Cannon: What are your concerns about my transgenderism? Dad: I’m worried about the future, like keeping your job if someone finds out or how to keep a relationship going. Mom: Are you sure this is what you want to do? My fear is that you will become more of an outcast than you already feel you are. Cannon: Has your attitude changed since I first came out? Mom: No, my attitude hasn’t changed a whole lot. I keep hoping that you’ll say, “Just kidding, I’m gay.” That would be easier to deal with. Cannon: What do you think teens should know about their parents before they come out as transgender? Mom: Most parents would have a hard time dealing with this, no matter how open they are. But you should know if your parents are strict or religious. Their reaction may be ugly. And you should speak with your parents alone, not at a party or somewhere crowded. And always have a backup plan. My parents are mostly tolerating my news, but sometimes we argue about me transitioning from female to male. Before you come out to your parents, it may be wiser to come out to a close friend or someone who you know will be accepting. Telling someone, especially your parents, “This is me, this is who I am” is both stressful and a relief. It’s a struggle, but it’s worth it. You cannot truly live if you cannot live as your true self. For more information on transgender issues, go to Gender Spectrum, the Gender Education and Advocacy website, or the National Center for Transgender Equality. You can also call the Gay, Lesbian, Bisexual and Transgender National Help Center at 1-888-843-4564 (THE-GLNH).